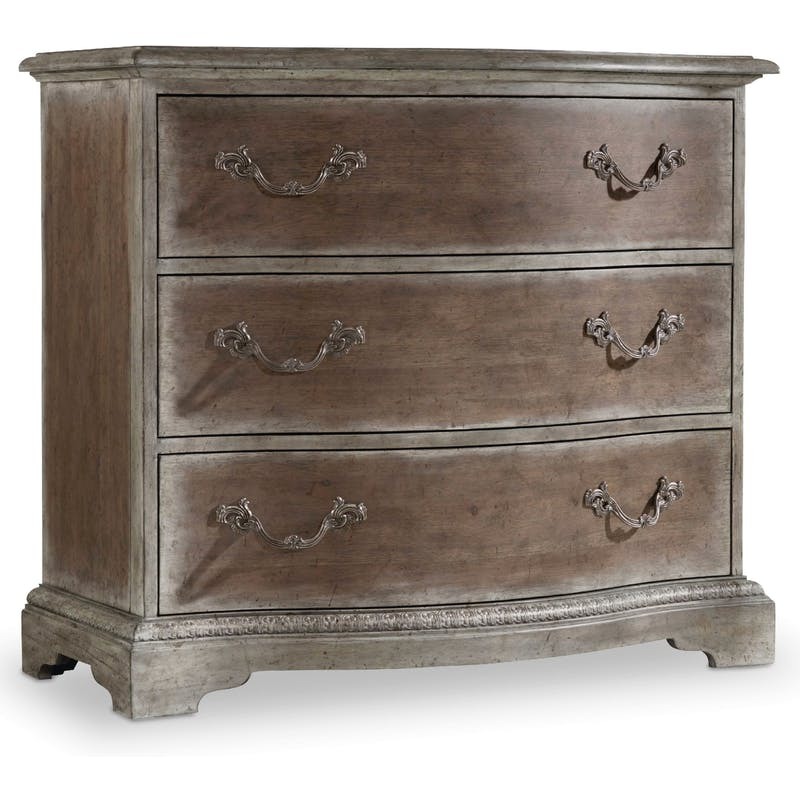 Finish: An elegantly aged, soft driftwood-tone finish with whitewash paint distinguishes True Vintage. Custom-designed antique silver hardware. Click here to receive email quote for Bachelors Chest item.